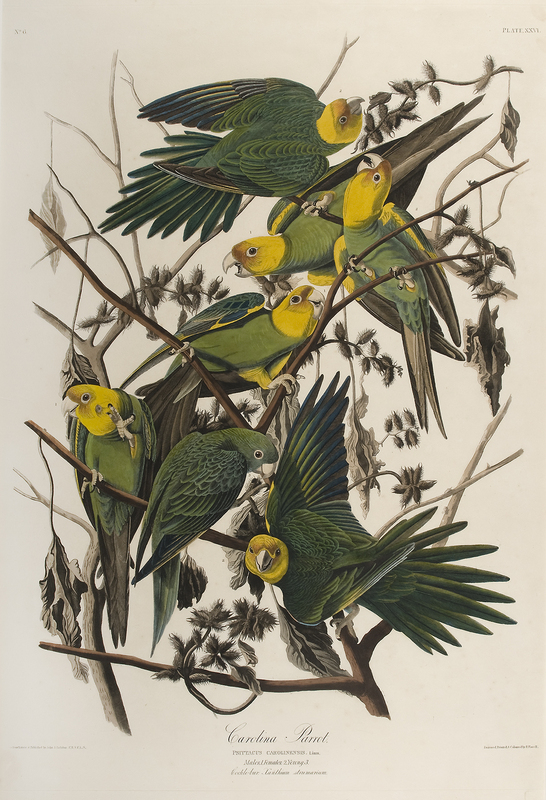 Carolina Parakeets once flashed in the forests. Flocks so big they blocked out the sun. would fly back to hover with her. Which made it fast work to shoot them all. Which was done, for feathers for hats. none. None is how many survive extinction. tinted tropical colors, in a museum I can go to. And often I do, seeking brightness, seeking birdsong. But the image is a warning call, is about waste. finding its ending. Our tending to head back to the dead. Rose McLarney is Assistant Professor teaching creative writing in the Auburn University Department of English.